This title will be released on December 26, 2017. About the Author: Laura Creedle lives in Austin, TX, and writes about her experiences as an ADHD writer at www.lauracreedle.com. 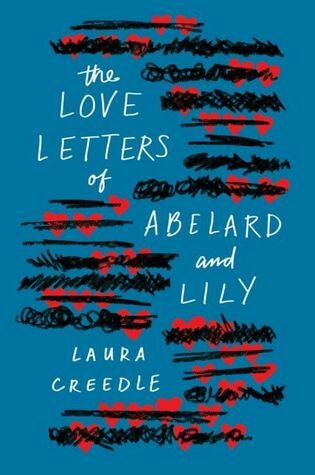 The Love Letters of Abelard and Lily is her debut novel. Noteworthy experiences while reading this book: I thought it was an interesting premise since this was based off the authors own ADHD experience. I myself was diagnosed with this at an early age. I felt that although some of the things that happen in this story were not true to my experience it was still a good show of what those with ADHD go though. Notes and Opinions: This one was a little different than most it deals with ADHD, dyslexia, and autism. I wish that the autism would have had more in the story but other than that I didn't have to many issues with this book. As for the story I thought it was kind of interesting that the two main characters chatted with each other from quotes from another book. Although parts of that really felt like books via prose which is just not something I enjoy reading. So I think that might have been an issue for me. The characters in this one were really alive. As each one changed though the story you could see and feel it. Especially Lilly as she fell into depression. The story was well rounded and the romance was very cute and sweet. I your looking for a new book to read about a romance and mental illness then check this one out. Go Into This One Knowing: Mental Health, slight prose feel.